After receiving her Bachelor of Fine Arts degree in Illustration from Syracuse University, Hope Lane went on to develop a successful career in advertising, first in Manhattan, and later in Florida where she established Hope Lane Design and was a principal of Results Partnership. After nearly 25 years of creating award-winning advertising and graphic design projects, she returned to portrait painting and discovered her passion for portraiture. Her deep love of animals has lead her to create a series of paintings that depict the loving spirit and sensitivity of the animals we call pets. “When I paint a cherished dog or cat, I want to discover that animal’s unique personality and capture it. That way I know that the pet owner will be able to physically hold on to a very special memory for years”. Her body of work reflects her fascination with both people and animals. She believes that there is no landscape more intriguing than that of the human face, and her work in this area is a continuous search to capture the individualism of her subjects. Her style is vivid and realistic, yet continues to evolve as she explores working in oil, acrylic and egg tempera. She has studied as a post-graduate at both the School of Visual Arts in New York City and the Boca Raton Museum Art School. During her years at Syracuse University, she received the award for Outstanding Illustration Student. 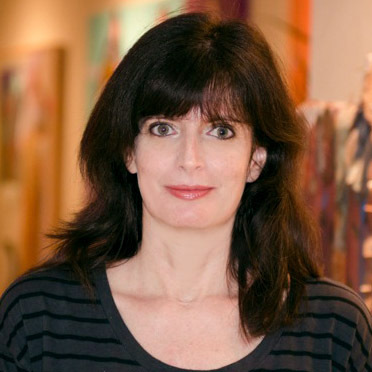 To date, her work has been exhibited at the Boca Raton Museum Art School, the Armory Art Center and in various private collections. contact me, I'd love to hear from you. to order commission a painting or to see art I currently have on sale. © Copyright 2019 Hope Lane. All rights reserved.